To meet NATO’s mission to project stability and to strengthen security outside its territory, the Alliance needs to develop an ‘expeditionary stability policing’ capability. But what exactly is the origin of this policing concept and why did it take so long to get it high on the agenda of – for example – the NATO Supreme Headquarters Allied Command Transition (ACT)? This article elaborates on the process of drafting a conceptual framework and describes the essence of stability policing. It also discusses the capabilities needed to perform stability policing and the role of the NATO Stability Policing Centre of Excellence. By the end of 2017, ACT will have delivered a broadly supported concept, making it possible to adapt the already existing NATO doctrine for Stability Policing (AJP 3.22) and to provide NATO with policing capabilities. Some concerns remain, however. Why should an article on stability policing be written, while geopolitics is re-emerging and threats at NATO’s eastern flank result in large-scale military exercises at this flank and call to level up the operational resources necessary for our security? However, thinking about it one can only conclude that the subject at hand is both relevant and topical. First, because it is in line with the outcomes of the NATO 2016 Warsaw Summit: the unpredictable world with its (complex) security challenges calls for armed forces able to move quickly to a conflict area, and strong enough to have an immediate effect in case one or more member states feel their independence or security is threatened. At the same time NATO must retain its ability to respond to crises beyond its borders, and the Alliance must remain actively engaged in projecting stability and enhancing international security through working with partners and other international organisations. A second argument can be found in the development of views on (inter)national security in the Netherlands: the subject is in line with the 2010 Explorations Report on the future of the Dutch Armed Forces. In this report, the future environment of the armed forces was qualified as fundamentally uncertain. Consequently, the Dutch Armed Forces had to develop into a smart organisation, ‘ready for the fray’, and capable of addressing all kinds of security challenges. The outcomes of this report were reaffirmed or even reinforced by the (independent) Dutch Scientific Council for Government Policy in May 2017. Based on the assessment that security has deteriorated in and around the Netherlands, the Scientific Council underlined the importance of the interrelationship and mutual reinforcement of domestic and foreign (security) policy, and favours a comprehensive approach in security matters. To meet NATO’s mission to project stability and to strengthen security outside its territory, the Alliance needs to develop an ‘expeditionary stability policing’ capability. Developing this capability is in line with present security thinking in the Netherlands. So far, ample academic literature has been written on stability policing. Except for the few military commanders that worked with units responsible for performing law and order tasks and/or for training indigenous police, this forthcoming concept of policing is unknown. The same applies to the policy makers at the Ministries of Foreign Affairs and Defence. This points at the relevance of this article: it has academic and military relevancy and is relevant for policy makers. The purpose of this article is to explain the origin, the essence and possible future developments regarding stability policing. Thereby it can contribute to the current debate on this topic within NATO, as well as in the Netherlands. In the first part this article discusses the origin of this policing concept (and why it took so long to get it high on the agenda of – for example – NATO Supreme Headquarters Allied Command Transition, ACT). The article also elaborates on the process of drafting a conceptual framework and will describe the essence of stability policing. It also discusses the capabilities needed to perform stability policing (and the role of the NATO Stability Policing Centre of Excellence, NSPCOE) and raises the question whether stability policing calls for renewed attention for the ‘third force concept’ (more gendarmerie to fill the gap), the further development of the process of constabularisation of the armed forces, and/or an increase of the deployment of civil police along with the military. 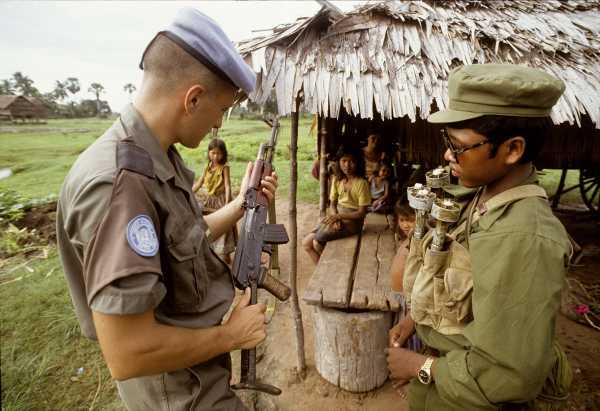 The first signs that indicated the need for stability policing capabilities, especially those needed to perform executive police missions, emerged during the United Nations Transitional Authority mission in Cambodia (UNTAC) in 1991. Due to the increasing violence in Cambodia, the UN Special Representative issued a directive turning the possession of weapons illegal if without a firearms licence from the police force or other relevant Cambodian authorities. This directive gave UNTAC troops the authority to take weapons from individuals. UN police were given powers of arrest and a special UN Prosecutor was installed. However, the first time the issue of stability policing was put high on the agenda, happened a few years later in Bosnia-Herzegovina during the NATO Stabilisation Force mission (SFOR) and the mission of the UN International Police Task Force, UNIPTF. After it became clear that the realisation of the goals laid down in the Dayton Agreement of 1995 needed a firmer approach, the international community supplemented its earlier instruments with supervision, arbitration, sanctions and intervention. Early 1998 the NATO Implementation Force mission (IFOR) was replaced by SFOR in order to ‘deter hostilities and stabilise the peace, contribute to a secure environment…’ for the ongoing civil implementation efforts in order to stabilise and consolidate the peace in Bosnia and Herzegovina. 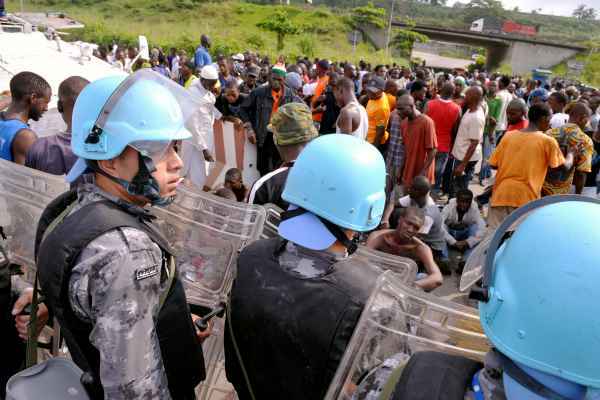 The UN was requested to establish UNIPTF for carrying out a programme of assistance. This force was envisaged as an unarmed, monitoring and advisory force and was by no means an operational police force, with executive powers, e.g. to apprehend indicted war criminals. Key public security issues in Bosnia Herzegovina, such as organised crime, drugs, corruption, terrorism, the return of refugees, and public security management (including crowd control) had to be addressed by the indigenous police. However, the local police were in many cases not willing to guarantee the security of the Bosnian population and were also confronted with public security threats they were unable to handle. The supportive role of UNIPTF did not allow this force to command the Bosnian police, nor did the force have the mandate (nor the resources) to maintain public order. According to the Dayton Agreement SFOR did not have the mandate to restore or maintain public security. While both SFOR and UNIPTF lacked the mandate and the Bosnian police were incapable of enforcing the law, or unwilling to do so, Bosnia Herzegovina de facto had become a protectorate of the international community by 1998. All this led to a grey area where nobody seemed to take responsibility for public security. Several authors have defined this grey area as the ‘public security gap’. Both NATO and UN tried to bridge the security gap. UNIPTF established the unit for critical incident management, while the SFOR Commander decided to set up the multinational specialised unit (MSU), consisting of Carabinieri and other gendarmerie-type forces, military forces with full police capabilities. The 350-strong MSU supplemented both the UNIPTF and the units assigned and trained as the more traditional, riot-squad style crowd & riot control units of SFOR. However, the actual filling of the security gap was hindered by traditional thinking which did not accept that civilian police would perform their tasks under military command. The MSU was tasked to help prevent tensions arising in so-called hotspots by means of intensive patrols and targeted preventive operations. Although the MSU has worked hard to maintain law and order, their deployment could be labelled as a ‘stopgap measure’ – born out of necessity, and to restore public order under difficult circumstances. The experiences in Bosnia-Herzegovina and the conceptual framework of the public security gap led to the understanding that the international community had to be endowed with the necessary police capabilities, and that the forces involved had to have an all-encompassing and clear mandate. Both the UN and the EU worked out the establishment of rapidly deployable police units (the Formed Police Units within the UN, only operating under civilian command, and the Integrated Police Units of the EU that may be put under military command ‘in non-stabilised situations’). At the same time, the NATO experiences in the Balkans led to a revision of the tradition thinking of the main peacekeeping actors. The boundaries between the military and civilian actors blurred and the old dichotomy of two separated worlds gradually disappeared. Almost simultaneous to the developments in NATO, UN and EU, Spain, Italy, Portugal, the Netherlands, and France (all countries with a military status police force), decided in 2003 to work together and create a European Gendarmerie Force (EUROGENDFOR). In the period following the international missions in Bosnia, the MSUs were subsequently deployed in Albania, Kosovo and Iraq, and their doctrine was completed. So, the need to close the security gap led at least to three different responses: the establishment of rapid deployable civil police forces, the establishment of MSUs and EUROGENDFOR. Additionally, the gradual adaptation of the armed forces to its changing (security) environment is a fourth response. Focussing at the urge to satisfy the need to ensure or safeguard public security, one could recognise the process of constabularisation of the armed forces. Within that process NATO Military Police (MP) are often regarded as ‘units of first choice’ by military commanders, and it is not surprising that NATO MP (emphasised by those countries that do not possess gendarmerie-type forces) got involved in conceptualising its role in the domain of public order and security, both in a more supportive (training, mentoring and advising) and executive role (actual maintenance of law and order). In 2016 ACT brought the developments mentioned together in a one-year project, aimed at conceptualising stability policing. This concept will enable the identification of specific, dedicated capabilities that meet the needs and will also be an input for the NATO Defence Planning Process (NDPP). Until now, the NDPP does not include a requirement for a stability policing capability. Before taking a closer look at the concept of stability policing, the rationale or need for a concept like this, as well as a short elaboration on ACT’s project, will be dealt with first. A closer look at national and international security shows how complex the present situation is. In terms of their spatial dimension or their intensity, threats or challenges to security are neither purely internal nor purely external by nature. Examples are an influx of refugees and related irregular migration, international terrorism and transnational organised crime. At the same time, hybrid threats and the rise of geopolitically driven tensions might be reason to prepare for (more) large-scale conflicts. The international security environment requires NATO to deal with these new challenges on a daily basis. It is well recognised that safety and security are fundamental to lasting and self-sustaining peace and development and, at the same time, major concerns, especially in fragile and war-torn countries. Increased levels of crime, violence and disorder often occur. 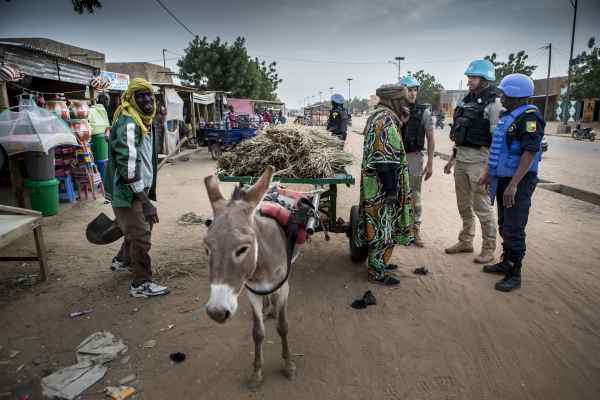 While the deployment of an international police component in a pre-conflict phase could turn out to be successful, most experience gained and research done refers to post-conflict situations. Bridging a possible public security gap and addressing the spoiler threat from criminalised power structures that, according to the studies of Dziedzic, are the predominant cause of failure of peace and stability operations, are major challenges for the international community. It is equally well recognised that bridging the public security gap, addressing crime and criminalised power structures and building indigenous police capacities requires policing capabilities that can be deployed based on a sound concept. For many years the debate has focussed on specialised units within the military or paramilitary constabulary forces, such as the Royal Marechaussee, Gendarmerie or the Carabinieri, as being more suitable than civilian police to bridge the security gap. By giving the impression that gendarmerie-type forces are the only possible forces to bridge the gap, these forces probably stirred strong feelings within other military or civilian partners with (some) policing capabilities and slowed down the first initiatives to develop a concept for stability policing. In view of the foregoing, the growing uncertainty and instability, NATO’s need to project stability with police capabilities, as well as the absence of an underlying concept for the NATO doctrine for Stability Policing, in 2016 ACT started the NATO Stability Policing Concept Development project, aimed to fill the gap. The one-year project consists of four workshops to develop the new concept and (finally) to endow NATO with new (policing) capabilities. To be able to develop a broadly supported concept, more than a hundred experts, military personnel, civil servants and police officers from over 42 worldwide organisations and institutions are participating in the project. Future operational goals for stability policing could be: border control, counter-terrorism and responding to hybrid threats. ACT’s project will be completed at the end of 2017, delivering the NATO Stability Policing Concept. 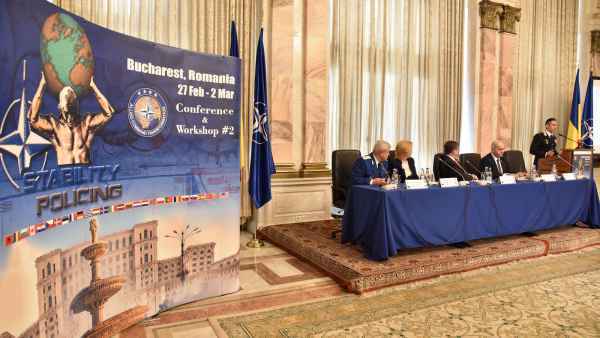 While contributing to crisis management operations, NATO’s involvement in complex situations in fragile and war-torn countries calls for (re)defining the role of the Alliance and the procedures on how to intervene, contribute and assist in support of international efforts to project security and stability. These types of operations consist of post-conflict security stabilisation, as was done in the Balkans, training of local security forces, as is currently being done in Afghanistan, and developing security policies for new governments, much like what NATO has begun to implement in some countries. Stability policing is one of the concepts that fit in the present ambitions of NATO. The concept will be described in the following paragraphs. ‘Stability policing’ is a difficult concept to grasp. In the first place because there is still no agreed definition for the term ‘police’ and, secondly, because the word ‘stability’ can be rather confusing. Examining the term ‘stability policing’ a first conclusion is that it all seems to be about ‘policing’, a present participle used as a noun. A literature survey shows that most academic work focusses on the police, rather than on policing or to police. Comparing several definitions, policing always involves explicit attempts of society or a group within society regarding organised public order management, the enforcement of laws and rules, crime control and information brokering in order to offer a safe and secure environment and to protect the lives, liberty and property of persons. As already mentioned above, the word ‘stability’ can be confusing as well. The Cambridge English Dictionary defines stability as ‘a situation in which something is not likely to move or change, or refers to the state or quality of being stable’. Examining the UK Government’s Approach to Stabilisation (2014) and the US Joint Publication 3-07 on Stability (2016), stability can be described as a political instrument, used in situations of violent conflict and designed to protect and promote legitimate political authority, to protect the population and to minimise – if not eliminate – economic instability or other drivers of violent conflict. Stabilisation combines integrated civilian and military actions to reduce violence, re-establish security and prepare for longer-term recovery. Therefore, ‘stability’ in the sense of ‘stability policing’ refers to the definitions used by the UK Government and the US Armed Forces. In fact, ‘stability’ in this sense refers to the sectors of security and justice, aiming at the restoration and maintenance of stability in a certain country, and does not necessarily relate to expeditionary action. Stability policing is, or can be, part of the security sector reform (cf. NATO Security Force Assistance Concept), and forms an integral part of the assistance of the international community to countries and regions affected by conflict. Looking in more detail at the word ‘policing’, stability policing is not restricted to the verb ‘to police’. It seems to be more than that: following the description used in the NATO Stability Policing Campaign, it is also about (re)organising indigenous police forces, advising on the police function and the necessary legal basis for law enforcement, training police personnel, and supporting the development of personal and institutional accountability. In an integrated approach, stability policing assets must operate together with military and non-military actors, as well as with those who, based on the principle of local ownership, are responsible for safety, security and justice. The concept of stability policing is to provide an overarching framework, guiding the development of stability policing capabilities able to be deployed throughout the full spectrum of conflict, able to establish a safe and secure environment, to restore and maintain public security, to counter irregular activities, and to create the conditions for a sustaining, functional indigenous police. Stability policing capabilities must be able to re-establish public security (replacement or substitution missions) and to reinforce the local rule of law (reinforcing or strengthening missions). To be successful, stability policing should be based on the application of one or more of the common policing strategies, depending on the local context and needs, and within the possibilities of the situation given. Although the question is whether the concept should describe in more detail which policing strategies are to be applied, intelligence-led policing, problem-oriented policing and community policing were often mentioned during the project meetings. However, it must be stressed that there is no ‘one-size-fits-all’ strategy. Besides the fact that the applied strategies are often related to police systems and policing possibilities in the different countries, it might be better to use a more generic term like ‘community-based problem-solving strategies’. It emphasizes problem solving and the responsiveness to the public’s needs and expectations. Another aspect concerns intelligence-led policing. The basic assumption of intelligence-led policing is that police work must be based on the most accurate and exhaustive information on criminality and insecurity. It is questionable whether the security situation justifies an increased and intensified use of (information) technology, and whether the indigenous police has (sustainable) resources to meet expectations set by introducing intelligence-led policing. A related focus of attention concerns the sharing of information and intelligence. It is beyond doubt that the exchange of information between all actors is essential for creating and maintaining a safe and secure environment. To be successful, a proper balance must be found between evidence gathering (due process), the protection of individuals’ privacy and a safe and secure environment. Furthermore, the application of a zero-tolerance strategy toward ethnically driven crimes needs serious consideration. Finally, the adoption of the principle of accountability and the protection, promotion and respect for human rights deserve the necessary attention. Stability policing missions require specific capabilities. Furthermore, the security challenges call for a flexible capability, tailored to the specific (moment in the) mission and require a comprehensive approach. Stability policing requires public order management capabilities, a proficiency in the use of less-than-lethal force as well as in criminal intelligence and investigations. 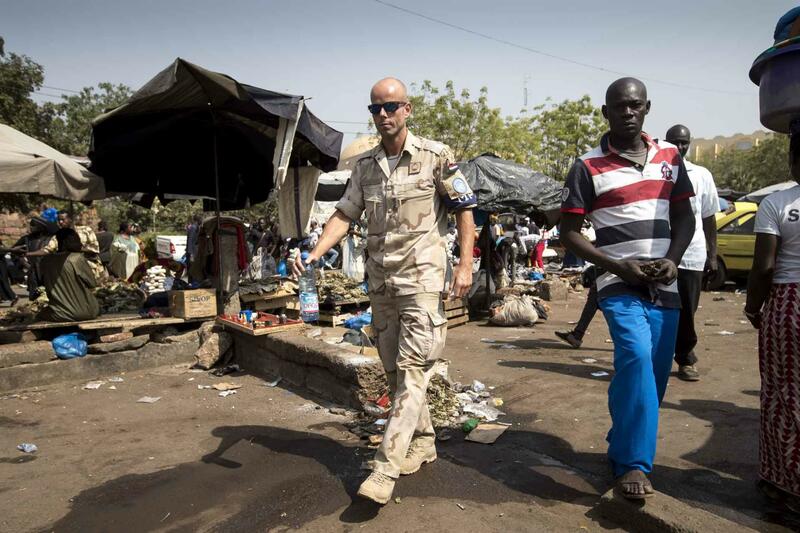 It also needs the capabilities to fight or deter well-organised armed groups. Occasionally, niche police capabilities (e.g. ‘cyber cops’, forensic detectives (biometrics, DNA analysis) and digital forensics detectives) are needed as well. Robust, armed police units with sound group cohesion seem to be necessary to do their job in unstable or less benign environments. Furthermore, stability policing assets must be rapidly deployable, should be able to operate within or together with the military, must be able to cooperate with all partners in delivering stability policing activities and to work together with all others in the judiciary and security sector reform. Finally, stability policing assets must be able to work together with the local government and local authorities. In doing so, a balance with the need of the local civilian population has to be safeguarded. These required capabilities call for specific characteristics of the stability policing assets. First and foremost, assets must be trained to perform police tasks in a civil environment and, preferably, they should have experience in policing civilian communities. Furthermore, the stability policing assets must possess the skills and mindset to be able to work within or with the military and should preferably have had training together with (elements of) the armed forces. Because gendarmerie-type forces share most, if not all, of the required characteristics, the debate about stability policing was centred for long on specialised units within the military or constabulary forces, such as the Marechaussee, Gendarmerie or the Carabinieri, as being more suitable than civilian police or most of military forces for filling the security gap. However, this line of thought seems to ignore the use of the military as law enforcers in situations where domestic security forces are either absent or sources of insecurity themselves, and international police forces are unable to cope with violence and organised crime. Although this is questioned by several authors, others assume the employment of the military in the enforcement of law and order as inevitable. At the same time the line of thought seems to ignore the fact that the resources of Marechaussee, Carabinieri or other gendarmerie-type forces are limited. Finally, this reasoning seems to reflect an approach that is more focussed on the police, rather than on policing or to police. Fortunately, the focus in the discourse on stability policing has now shifted to policing. Having defined the capabilities needed to perform stability policing, it is possible to identify conceivable assets within and outside the armed forces and to enable the positioning of specialised, modular or niche assets for the NDPP. The newly defined capabilities also enable the military assets (especially NATO MP) to adapt to the new situation. To enhance the readiness and interoperability of the assets earmarked for stability policing, operational issues amongst the respective partners must be addressed. Based on lessons identified and lessons learned, matters as a common doctrine, education and training and (some level of) standardisation of weapons, transport and other equipment should be addressed in this respect. Though of a somewhat different nature, the concept of stability policing also requires the availability of police expertise at all levels within the NATO structure. This expertise must enable the Alliance to insert police specific procedures and outcomes into the strategic planning. The necessary capabilities for this must be made available. NSPCOE is a joint, multinational NATO body and is part of a network of 24 centres of excellence across the world, coordinated by ACT, Norfolk (USA). Italy is the Framework Nation, providing infrastructure, logistical support, the Director and half of staff. Sponsoring nations are: Czech Republic, France, Poland, Romania, Spain, the Netherlands and Turkey. These nations provide the rest of the staff. The Netherlands provides the staff with a full colonel as Chief of Staff. Political-strategic guidance comes from the Steering Committee consisting of representatives from Italy and the sponsoring nations. NSPCOE is part of NATO, but not a part of the NATO Command Structure. The centre is exclusively subordinate to the funding and supporting nations. The ‘operational’ part of NSPCOE encompasses three branches: doctrine and concept development, education and training, and lessons learned. This article has addressed questions related to the concept of stability policing. It elaborated on the definition of stability policing. Arguing that the policing concept is both relevant and topical, it explained the origin of what has come to be known as stability policing, pointing at the experiences of the international community in Bosnia-Herzegovina in the 1990s. The conclusion that nobody seemed to take responsibility for public security led to the conceptual framework of the public security gap and the profound belief that the international community had to be provided with the necessary police capabilities. It was also concluded that there should be an all-encompassing and clear mandate. The article has mentioned four different possibilities to bridge the security gap: the establishment of rapid deployable civil police forces, the establishment of MSUs and EUROGENDFOR (third force concept), and the gradual adaptation of the armed forces to its changing (security) environment. Most probably because the gendarmerie-type forces share most characteristics required for stability policing, the debate about the development of a conceptual framework for stability policing slackened for many years. A debate that also seems to have been obscured by the denial that the military were used as law enforcers in situations where domestic or other (international) security forces were absent, and the fact that the early line of thought within the gendarmerie-family was more focussed on ‘the police’, rather than on ‘to police’. In 2016, ACT launched a project to establish a concept for stability policing. By the end of 2017, the project will have delivered a broadly supported concept, making it possible to adapt the already existing NATO doctrine for Stability Policing (AJP 3.22) and to provide NATO with policing capabilities. In the discussion on these specific capabilities it was argued that – first and foremost – stability policing assets must be able to perform police tasks in a hybrid environment in which the assets must work together with military and non-military partners towards safety and security for the local community. The upcoming concept for stability policing requires the deployment of specialised, modular/plug-in or niche (police) capabilities, tailored to the specific (moment in the) mission. The NSPCOE can help to address operational issues, like the need for a common doctrine, (concerted) education and training, and the standardisation of equipment. Four concerns remain, however. The first one is that most of the military forces are not trained and/or highly experienced in conducting policing tasks in a civilian environment. Such skills are acquired and maintained by working day-to-day with civilians, serving their needs. The second concern is that already dedicated assets such as gendarmerie, MSU and MP have limited resources and that it is questionable whether the remaining military assets can be adapted in such a way that they can both operate in large scale military conflicts as well as perform police activities in the framework of stability policing. The third concern is the existing opposition to any military involvement in policing matters regarding civil populations. A final concern is that many civilian organisations still do not want to be associated with the military. Consequently, they are reluctant to work together with the military and ask and/ or accept support from them. This could hamper the successful comprehensive approach together with the necessary partners in stability policing operations. The forthcoming concept of stability policing, addressing the temporary absence or insufficient presence of indigenous police, as well as the need to support them by training and advice, is a strong incentive to create a common ground for more mutual understanding and, ultimately, a safer and more secure environment. It is to be hoped that in the near future these concerns will have blurred. * The author is a Colonel (ret) of the Royal Netherlands Marechaussee (RNLMAR), researcher and independent consultant/trainer. He wishes to thank Colonel RNLMAR Arend te Velde, Chief of Staff NSPCOE, for his comments and additions, and all others that commented on an earlier version. Dutch Scientific Council for Government Policy, Veiligheid in een wereld van verbindingen (The Hague, 10 May 2017). H. Broer and M. Emery, ‘Civilian Police in UN peacekeeping operations’, in: Robert B. Oackley, M.J. Dziedzic and E.M. Goldberg, (eds. ), Policing the New World Disorder: Peace Operations and Public Security (National Defence University Press, Washington, D.C., 1998) 369-370; K.C. Roos, ‘Peacewatch’, in: UN Chronicle vol XXXV (1998) (1) 64. NATO, SFOR HQ Sarajevo, ‘SFOR Mission’, 14 January 2003. Retrieved from www.nato.int, 27 July 2017. Working group ‘Policing in Conflict Areas’, The Bosnian Public Security Gap: An Obstacle For Peace (Interchurch Peace Council (IPC/IKV) The Hague, April 1998). See, a.o. M.J. Dziedzic, ‘Introduction’, in: Robert B. Oackly, M.J. Dziedzic and E.M. Goldberg (eds. ), Policing the New World Disorder, 8-16; Working group ‘Policing in Conflict Areas’ (see note 5). See, a.o. V. Stingo, ‘Challenges and opportunities of developing a NATO Stability Policing Capability’, in: The Three Swords Magazine (Stavanger, NATO Joint Warfare Centre, 2017) (32) 84-88; M. J. Dziedzic and A. Blair, ‘Bosnia and the International Police Task Force’, in: Robert B. Oackly, M.J. Dziedzic and E.M. Goldberg (eds. ), Policing the New World Disorder, 253-314; Nederlands Instituut voor Militaire Historie, Implementation Force (IFOR) and Stabilization Force (SFOR), retrieved from: https://www.defensie.nl/onderwerpen/historische-missies on 1 August 2017. Ernest J. Herold, ‘Stability operations. The solution against threats’, in: Jandarmeria Românâ (2017) (5) 12-15. See e.g. P.C.J. Neuteboom, Beyond borders. The Role of the Netherlands Army in Public Security (Nijmegen, Wolf Legal Publishers, 2014). Michael Dziedzic (ed. ), Criminalized Power Structures: The Overlooked Enemies of Peace (Peace and Security in the 21st Century) (Washington, D.C., Rowman & Littlefield Publishers, 2016); in 2006, Rausch offered already an approach based on the (negative) impact of crimes on the stabilisation in post-intervention society. She defines a ‘serious crime’ as a criminal act or acts that can have a profoundly destabilising impact on a post-conflict society (see: C. Rausch (ed. ), Combating Serious Crimes in Postconflict Societies: A Handbook for Policymakers and Practitioners (Washington, D.C., United States, Institute of Peace Press, 2006) 3-15. E.g. Montenegro, Georgia and Jordan. E.g. T. Jones and T. Newburn, Private Security and Public Policing (Oxford Clarendon Press, 1998) 18-90; David H. Bayley and Clifford Shearing ‘The future of Policing’, in: Law & Society Review 30 (1996) (3) 585-606; Board of Chief Commissioners, P. G., Police in Evolution. Vision on Policing (The Hague, NPI, 2006) 51. UK Government’s Approach to Stabilisation, retrieved from www.sclr.stabilisationunit.gov.uk/ on 2 August 2017. USA – Joint Publication 3-07 on Stability (Wasington, D.C., August 2016). See also NATO Standard AJP 3.22 Allied Joint Doctrine for Stability Policing. J.L. Hovens, ‘De European Gendarmerie Force. Antwoord op de public security gap?’, in: Militaire Spectator 177 (2008) (12) 664-677. E.g. Karl W. Haltiner ‘Polizisten oder Soldaten? Organisatorische Dilemmata bei der Konstabilisierung des Militärs‘, in: Österreichische Militärische Zeitschrift (2001) 291-298; Kimberly C. Field and Robert M. Perito, ‘Creating a Force for Peace Operations: Ensuring Stability with Justice’ in: Parameters (Winter 03) (2002) 77-87; and W. Clark, Waging Modern War. Bosnia, Kosovo, and the Future of Combat (New York, Public Affairs, 2001). E.g. 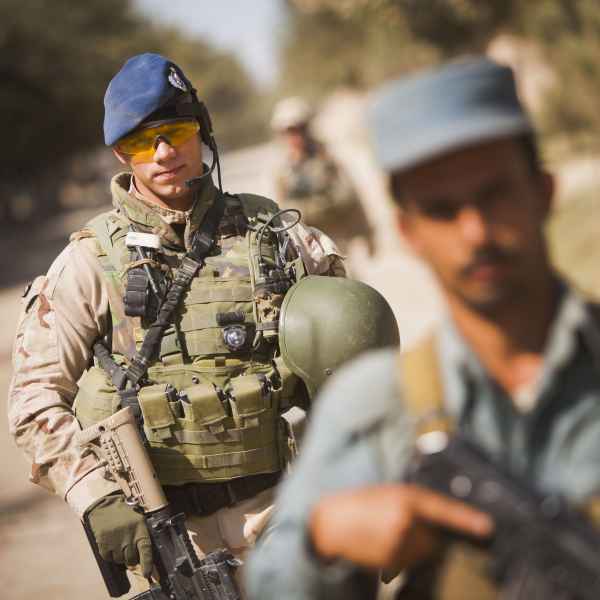 C. Friesendorf, The Military and Law Enforcement in Peace Operations. Lessons from Bosnia-Herzegovina and Kosovo (Vienna and Geneva: LIT and DCAF, 2010); C. Bildt, Commencement Address 2006, Pardee RAND Graduate School, Santa Monica, 2006: https://www.rand.org/pubs/corporate_pubs/CP517-2006-09.html ; Rausch, Combating Serious Crimes in Postconflict Societies (see note 11). Hans Hovens ‘The Future Role of Gendarmeries in National and International Contexts’, in: V. Stingo, B. Barbu and M. Dziedzic (eds. ), Stability Policing: A Tool to Project Stability (Norfolk, USA, HQ Allied Command Transformation) (forthcoming in 2017). COESPU was established in 2005 and stems from an Italian initiative, supported by other G8 countries. A. Paris ‘The NATO Stability Policing Centre of Excellence. A key role for the Romanian Gendarmerie’ in: Jandarmeria Românâ (2017) (5) 16-17. Hans Hovens is a Colonel (ret) of the Royal Netherlands Marechaussee (RNLMAR), researcher and independent consultant/trainer.